PAHOA, Hawaii -- People nixing vacations to Hawaii's Big island has cost the tourism industry millions of dollars as the top attraction, Kilauea volcano, keeps spewing lava. The booking pace for hotels and other activities, such as tours for lava viewing, zip lines and glass bottom boats have fallen 50 per cent. A handful of cruise ships have also decided not to come into port even in Kona on the west side of the island, about 80 miles (129 kilometres) away from the volcano. 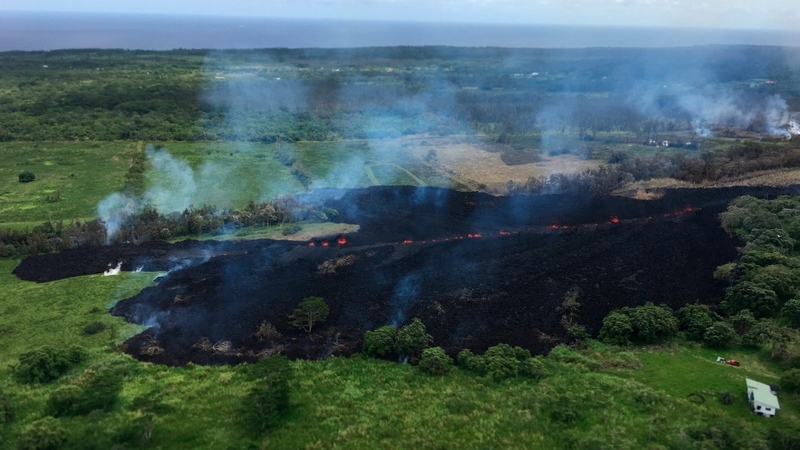 The U.S. Geological Survey's Hawaiian Volcano Observatory said the flow from the crack that emerged Sunday was heading on a path that would take it to the ocean, about 2 miles (3 kilometres) away. No homes or roads were threatened by the flow.